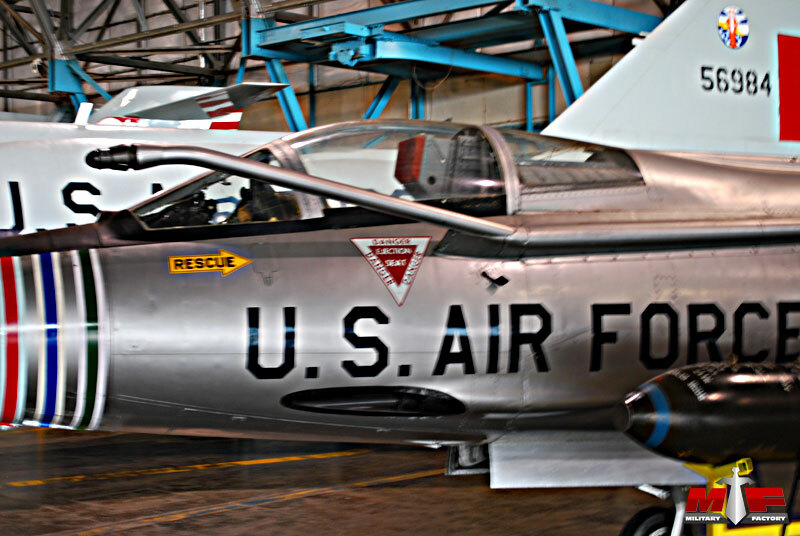 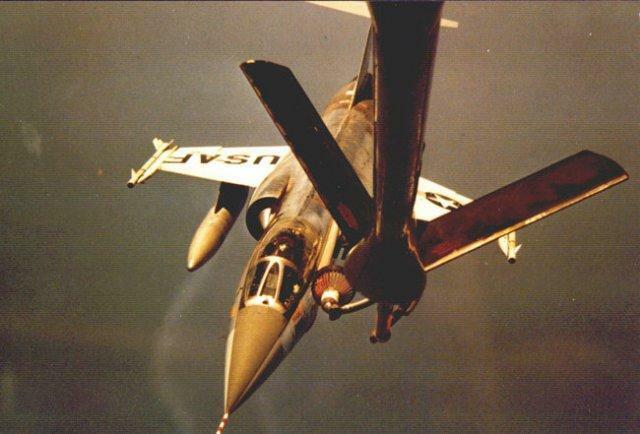 This F-105D Thunderchief has both a probe for probe and drogue refueling and a receptacle for boom refueling. 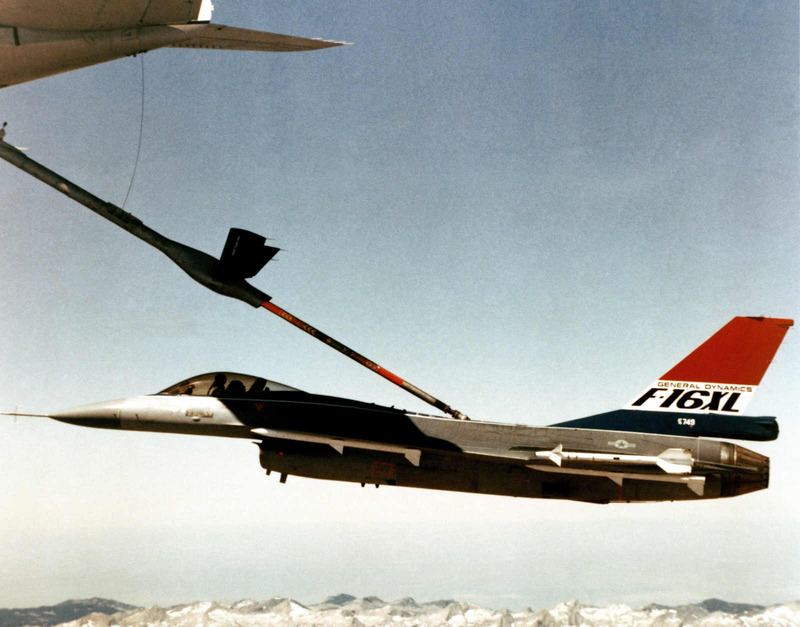 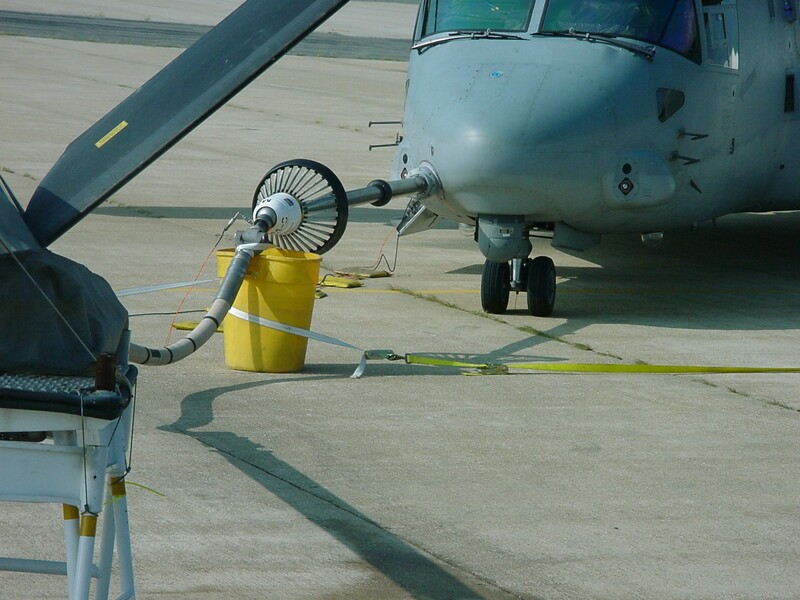 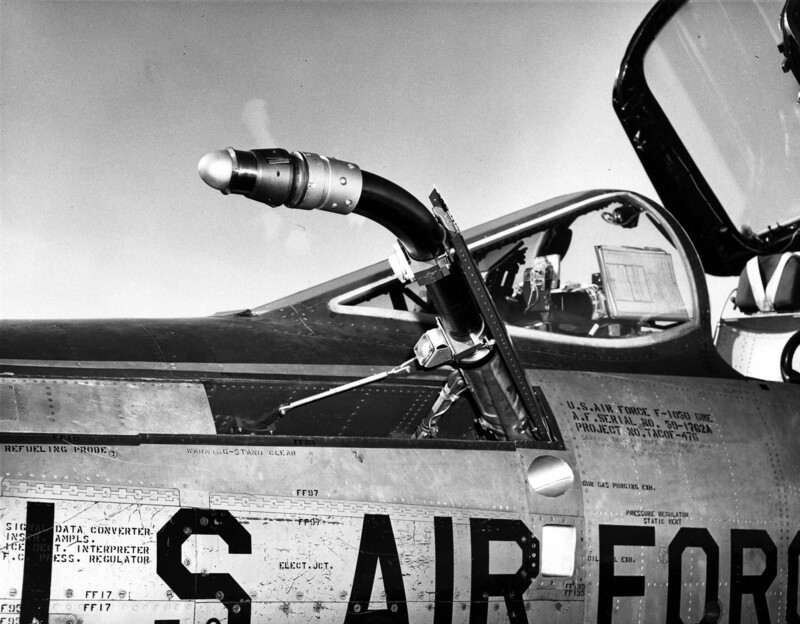 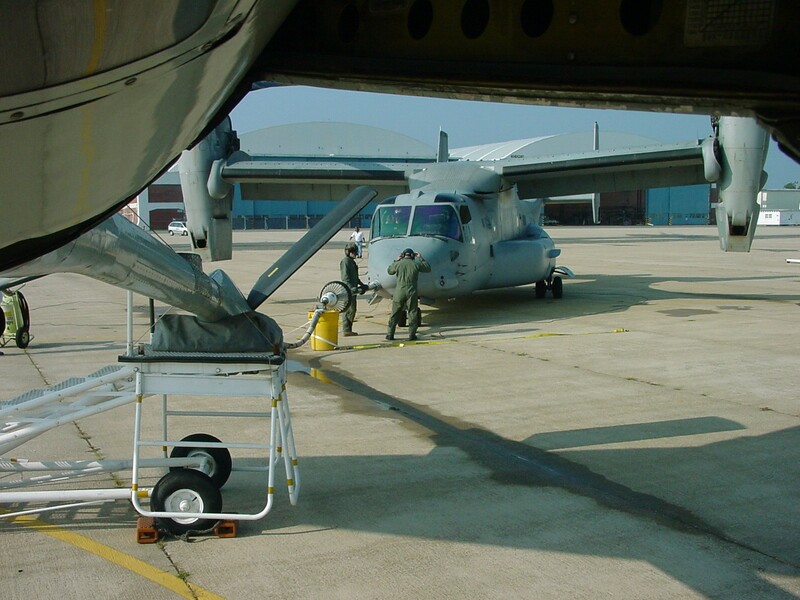 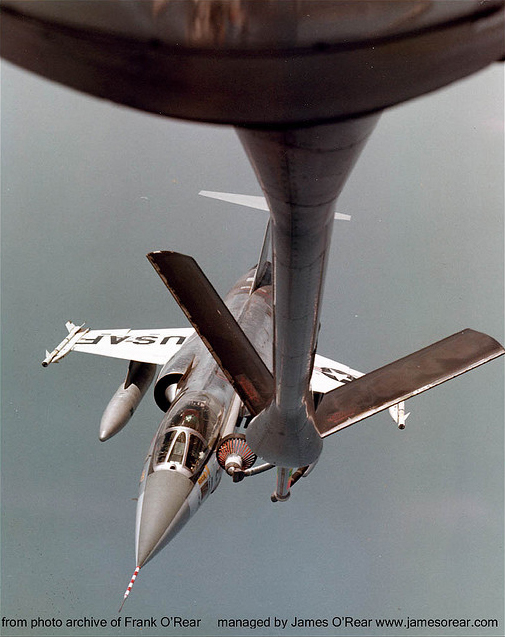 Close up view of the F-105 Thunderchief's refueling probe. 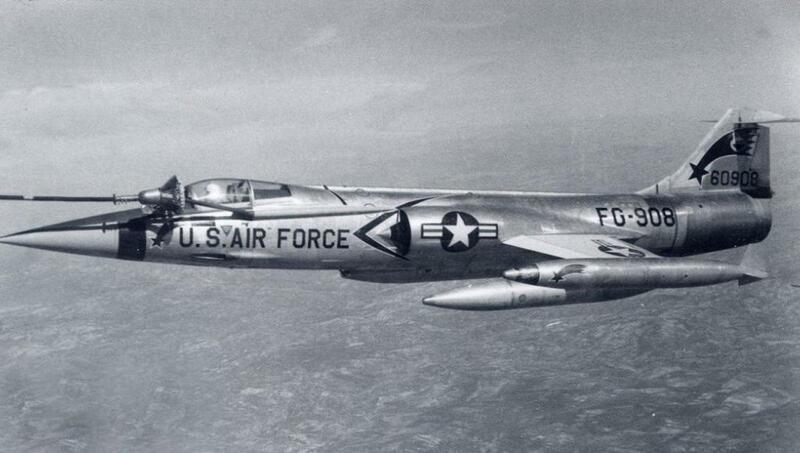 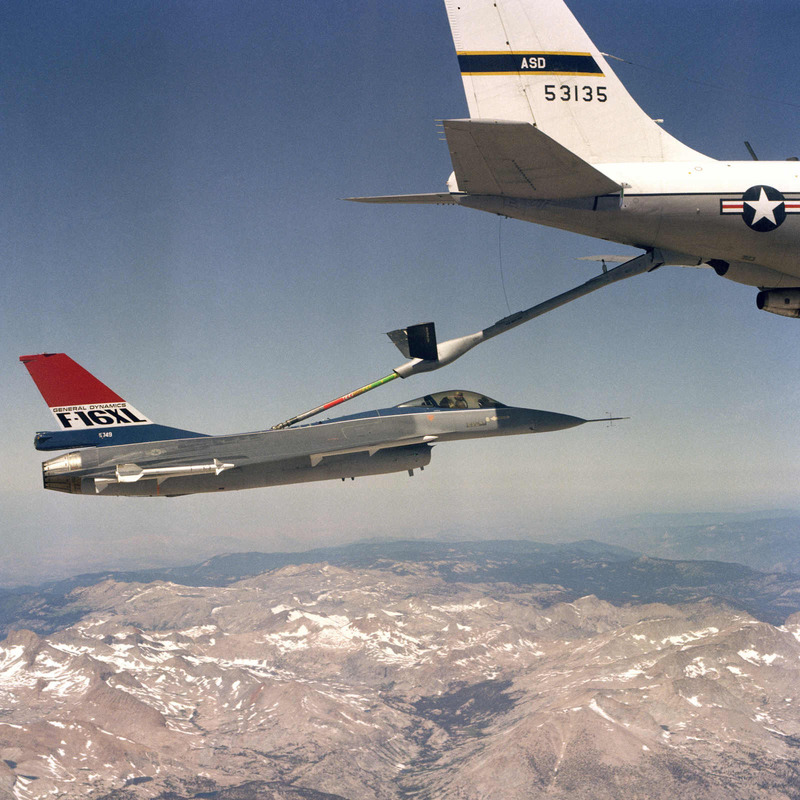 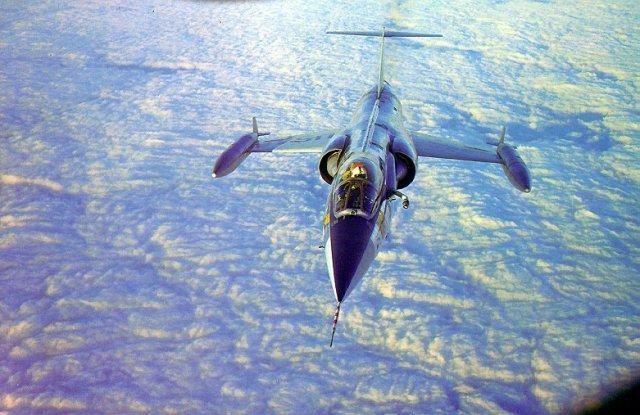 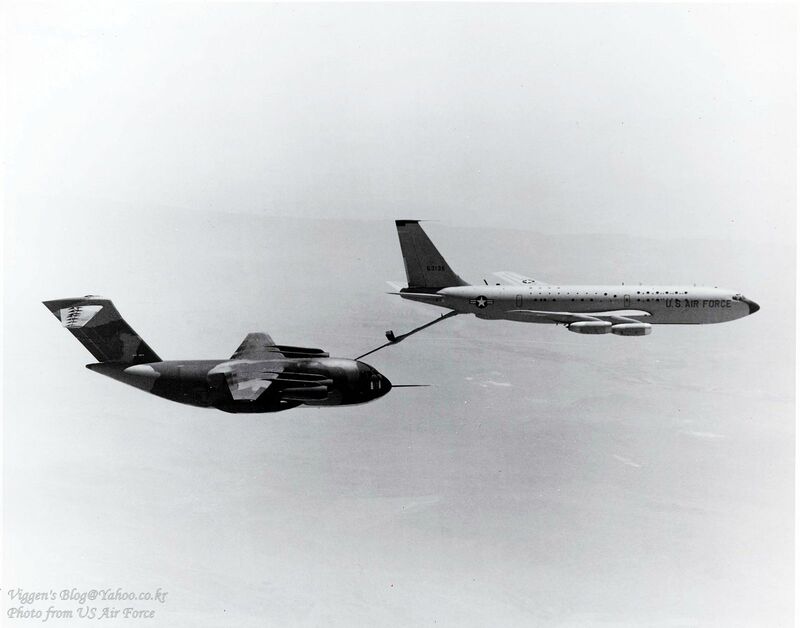 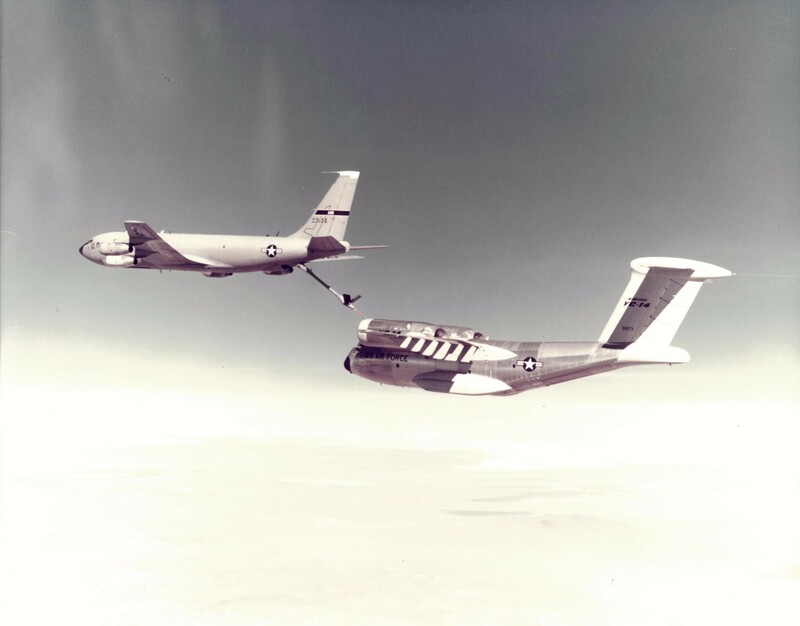 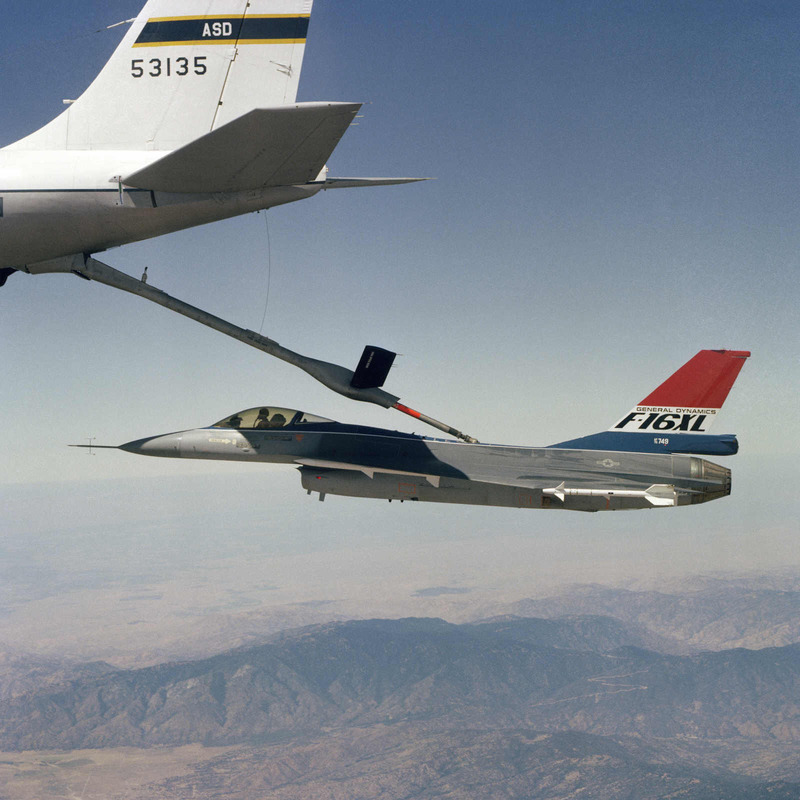 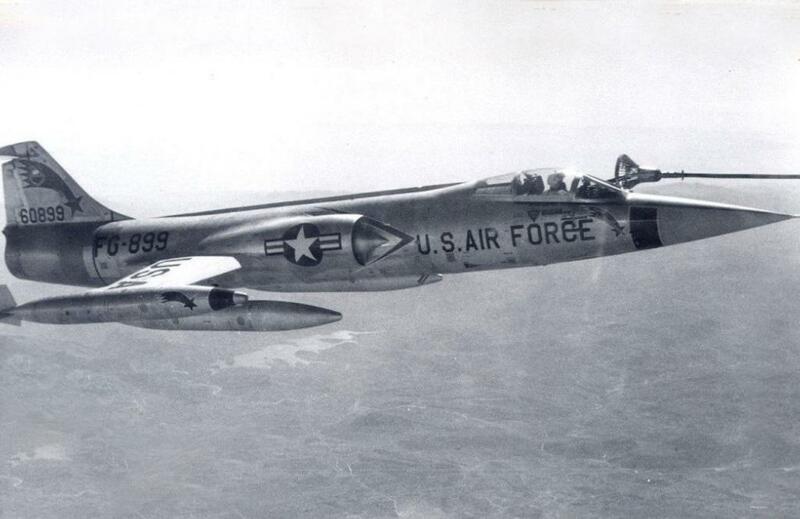 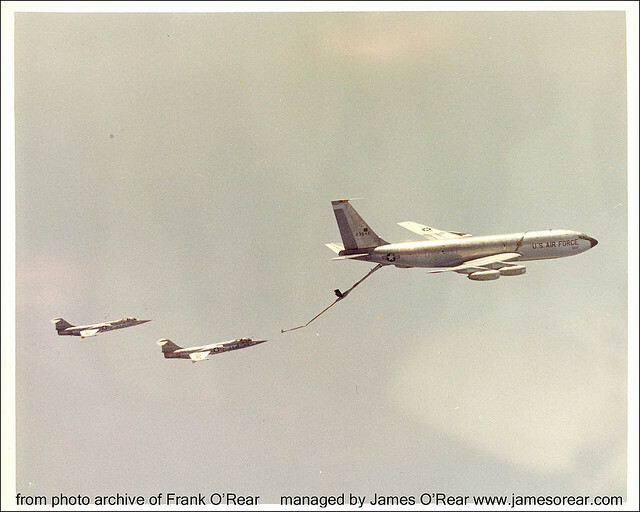 I’ve been searching high and low for pictures of F-104 Starfighters doing in flight refueling. 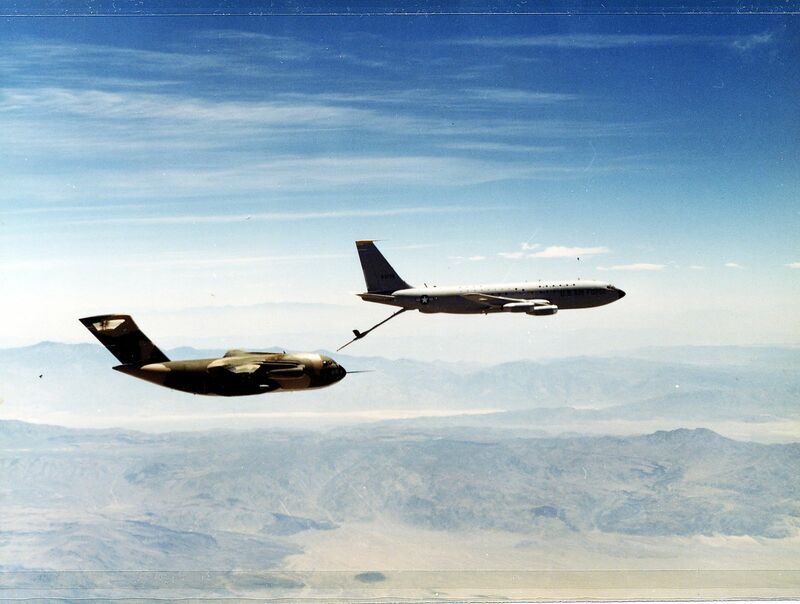 I’ve finally run across some decent examples. 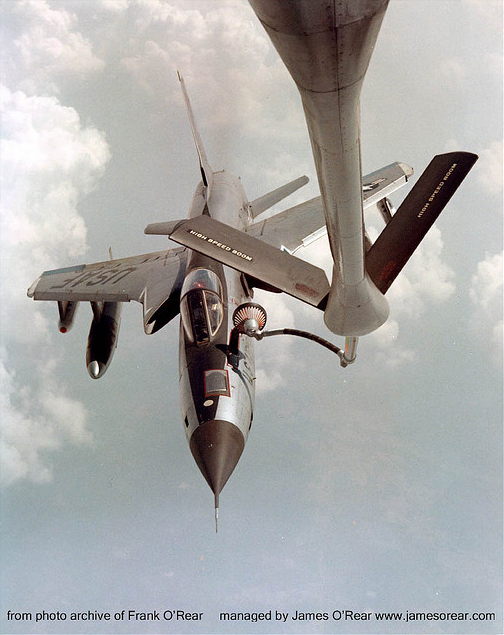 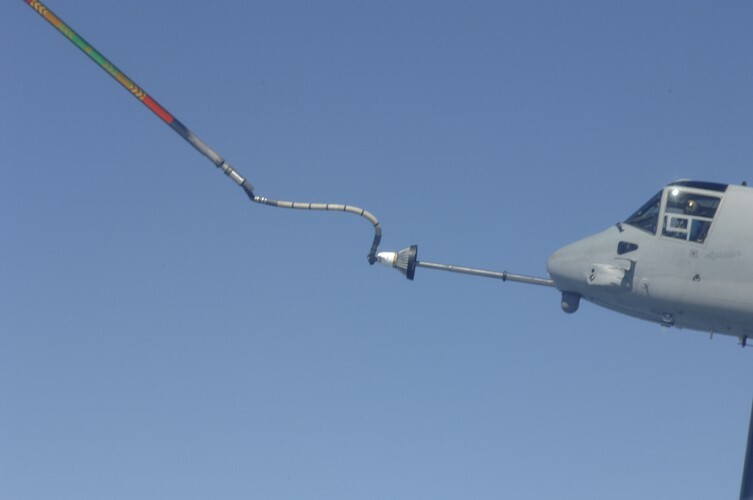 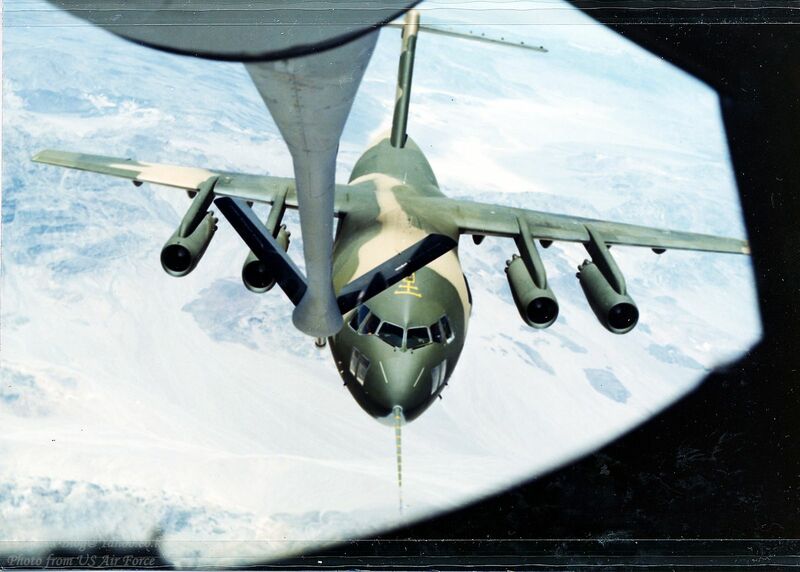 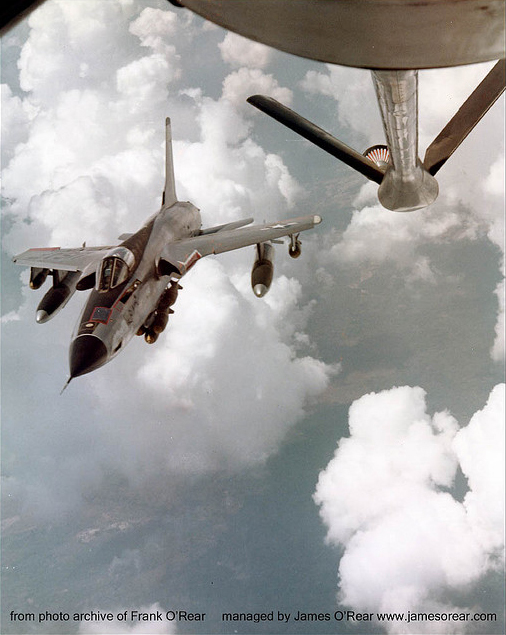 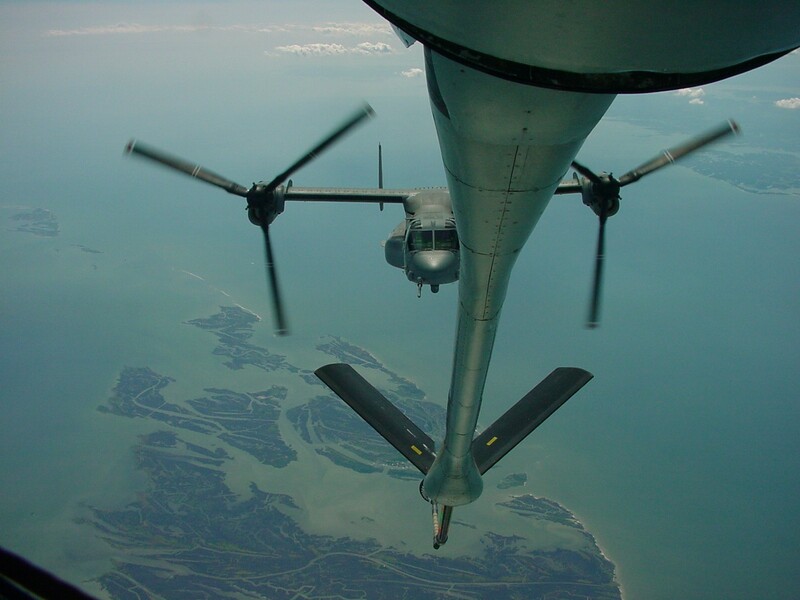 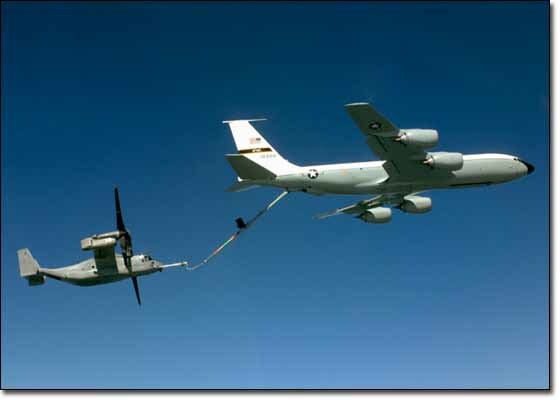 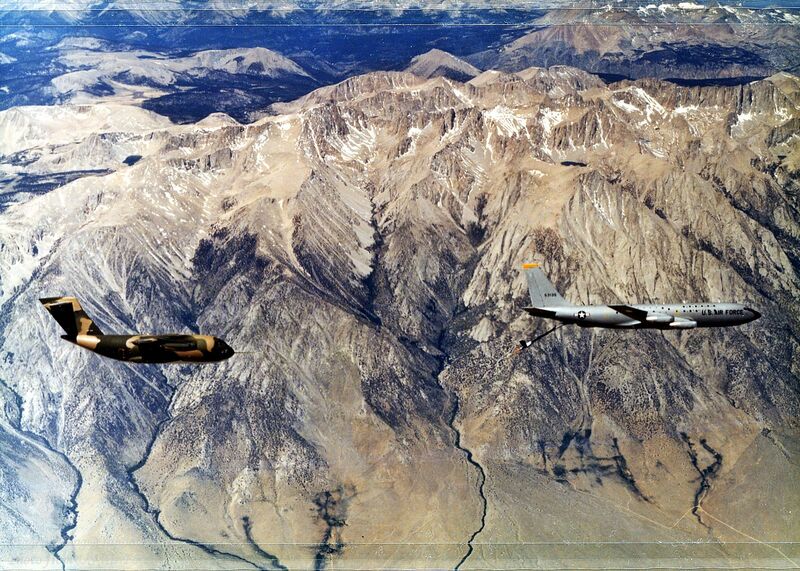 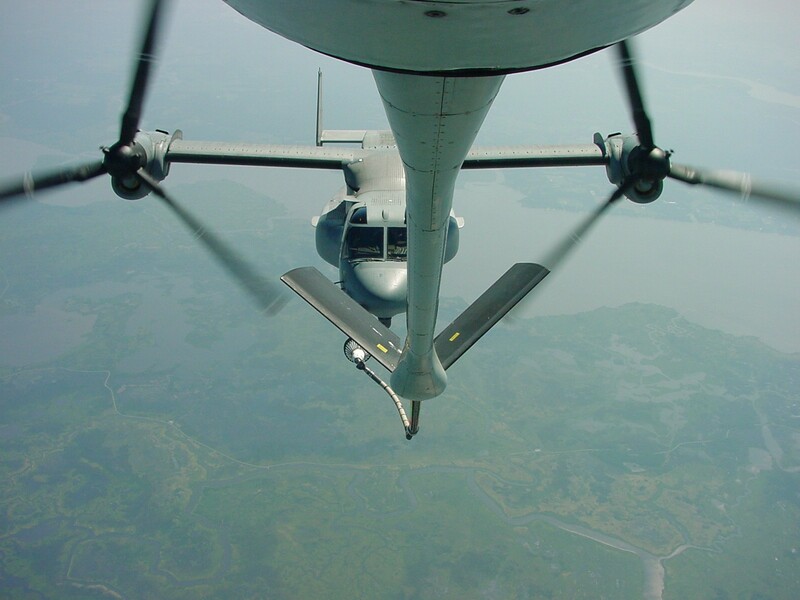 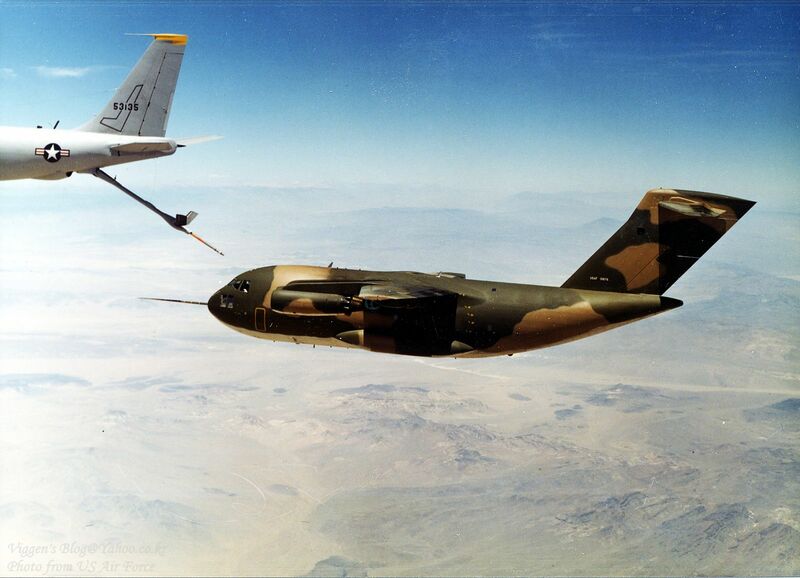 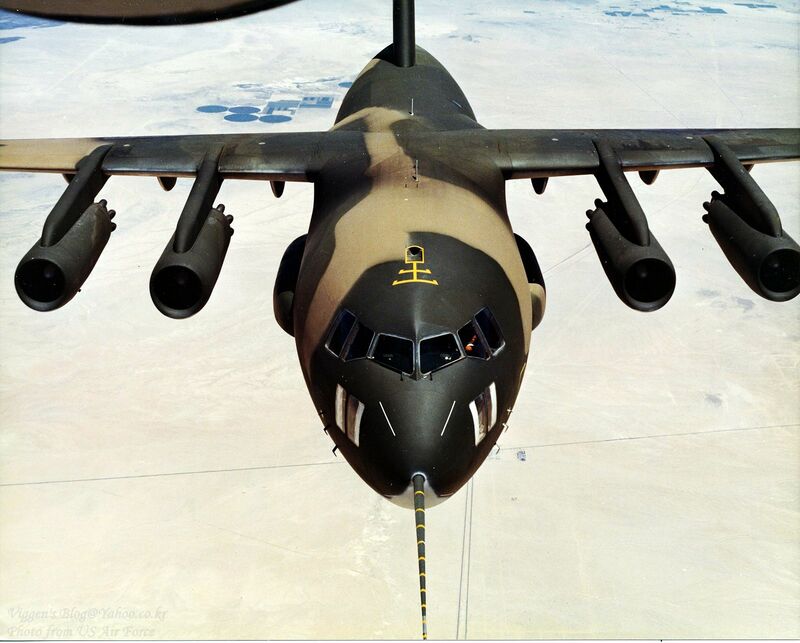 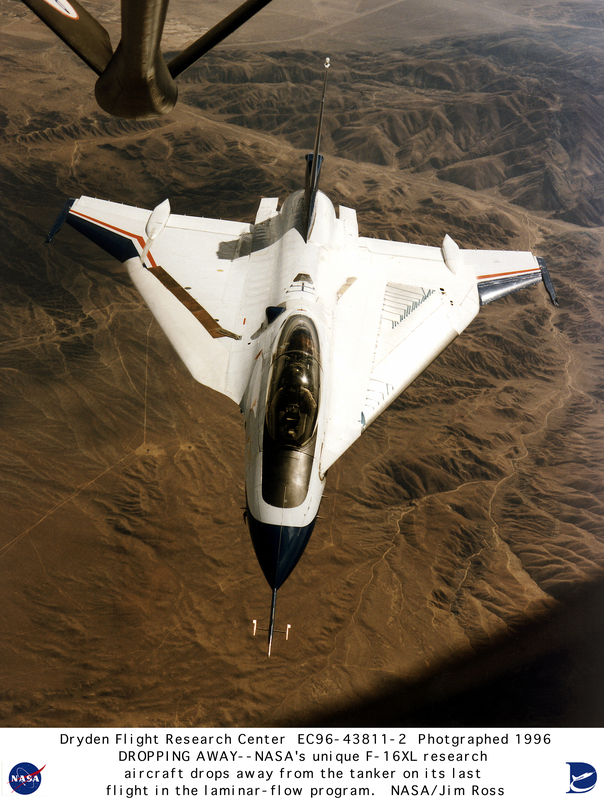 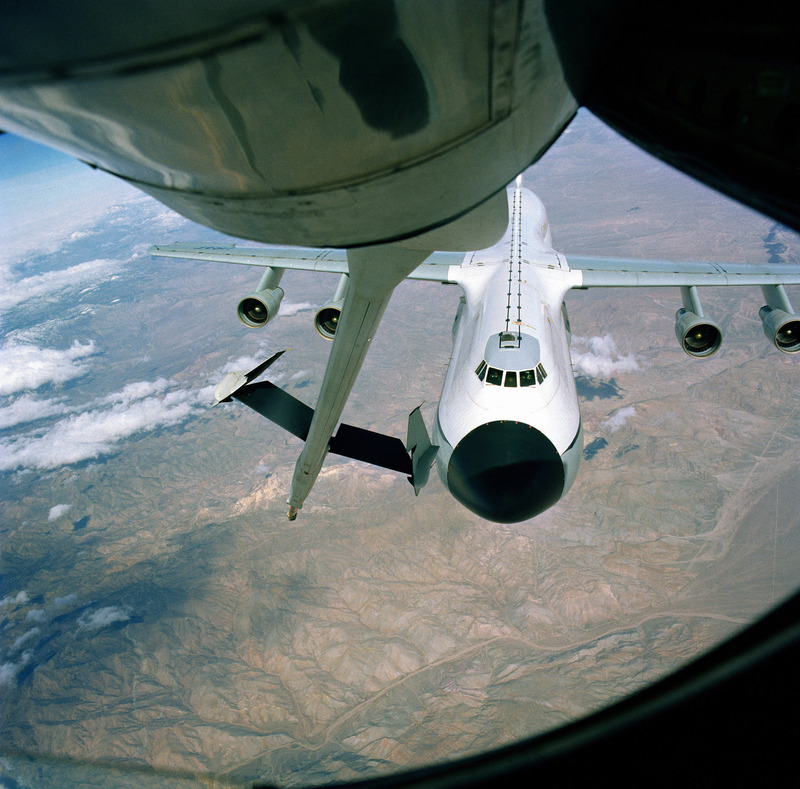 Ultra low altitude air refueling of an F-4 Phantom by a KC-135E.